#38 Complete your Advance Life Support update online? For most doctors requiring Advanced Life Support (ALS) credentialing, the last time they actually utilised it was when they did their last credentialing. Outside of an emergency department (ED) setting it is an infrequent event, but we recognise the need to maintain the skills, as many of us are required to keep it current every three years to maintain our professional CPD requirements. This was certainly my experience after having worked as a VMO in an ED in metropolitan Adelaide for 13 years and now as a visiting general practitioner to rural and remote South Australia. One might use the phrase “in my own time” to denote the use of online learning by doctors when and where they want it. Most of us are time poor in our work environment and giving up a weekend to do the usual two-day ALS update is not something we look forward to. Thankfully, all that is now in the past, as the AMA has joined with CRANAPlus to deliver an innovative online ALS module combined with practical assessment that can even be done via Skype. The online component of the course takes approximately three hours to complete and can be done in multiple segments if desired. I really liked the fact that most modules allowed you to go straight to the assessment at the end of the section if you passed a pre-test demonstrating you had 100% competency in the topic. This directly fits with adult learning principles of recognising what we already know and allowing self-direction. Module structure flows well in easy to understand steps. The layout and graphics are of excellent quality and provide in-depth knowledge of the subject. The module includes plenty of linked resources for you to read further on any topic easily accessed via the imbedded links, which have practical examples and case studies to assist in learning. Online learning saves time in planning, transportation and cost. I was able to complete this ALS module in three hours, in my own time without having to leave my clinical duties or my family commitments. Online learning is the new format that doctors will have to get accustomed to for their overall CPD requirements. The CRANAplus Advance Life Support course can be accessed via doctorportal Learning. Once all components are completed you are directed to the CRANAplus website to arrange your practical assessment. The course is accredited with the RACGP and ACRRM and CPD points are tracked to your CPD Tracker. It couldn’t be simpler. Perfect for busy doctors and significantly cheaper than a two-day course and does the job. I recommend giving it a try. Dr Williams is currently working with the Aboriginal Health Council of South Australia as a GP Supervisor, Aboriginal Health. 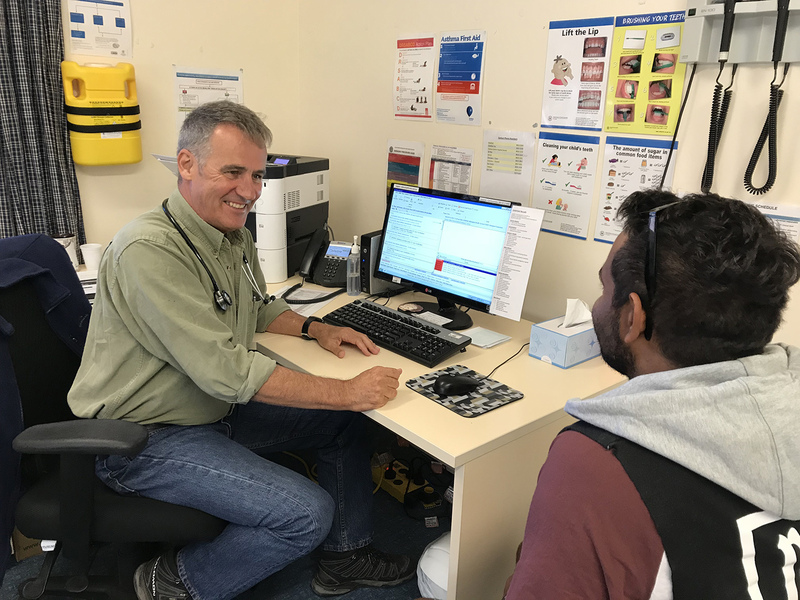 This involves supporting the GP workforce in rural and remote Community Controlled Aboriginal Health Services in SA and supervising GP registrars. He spends more than 60 per cent of his time working in rural general practice and loves it.